Tiffany E. Mincey is a native of Rochester, NY. She graduated SUNY at Buffalo with a Bachelor of Arts Spanish with a double minor in International Business and Education in 2010 and graduated Florida International University in 2011 with a Master of Public Administration. She currently participating in the African-American Leadership Development Program via the United Way. A unique fact about Tiffany is she competed in the World Natural Bodybuilding Federation (WNBF) show in April 2015 placing 3rd in her class in the Figure Division. 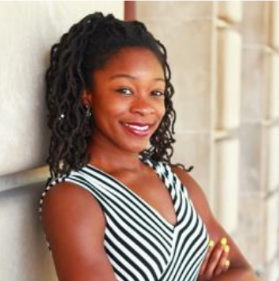 Tiffany is very involved in the community serving as a volunteer, donor and leader within several organizations: Urban League of Rochester, United Way, Black Young Professionals, Rochester Young Professionals, and The Jennifer House.